Is this really my life....: Coconut oil for dogs ... are you mad? 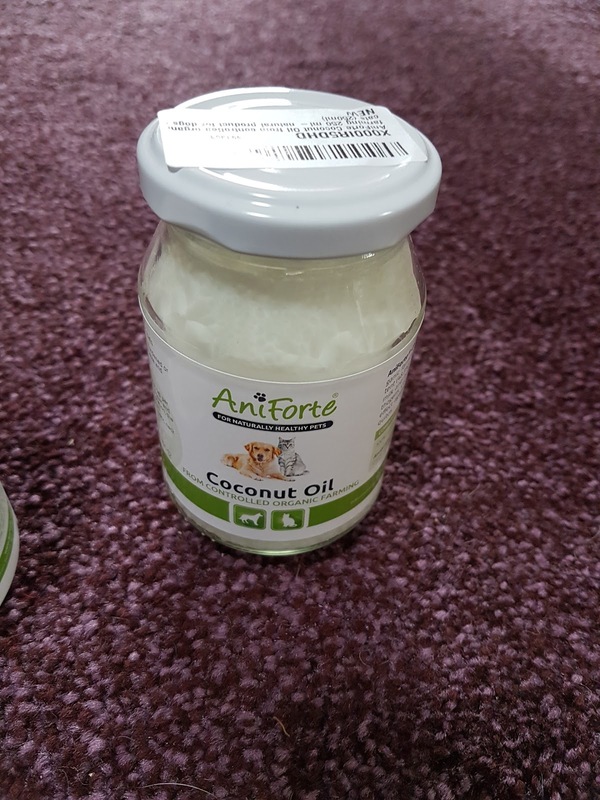 Coconut oil for dogs ... are you mad? I recently ordered this product from amazon two weeks ago for various reasons. The main reason for the purchase was because my Labrador has been scratching and chewing her feet more and more over several months. I've been applying the coconut oil to her feet every other day and putting the suggested amount in her food. The benefits in just a week are fantastic! Not only does her breathe not smell any more, the annoying chewing and scratching has slowed down and almost stopped. The aroma that hits the senses from the second you open the jar is lovely and fresh. Bonnie's coat was starting to look dull and not very nice, but now it looks and feels a lot healthier and is nice and glossy, compared to a few weeks ago. 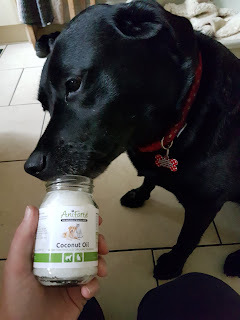 This natural and organic product is great, so great that both my dogs can agree on it and will often try and lick it out of the jar if given half the chance. The play area in the garden..